Sheriff Hackberry Holland is at it again! 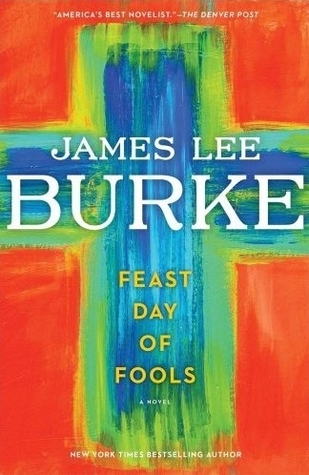 James Lee Burke’s third Hackberry Holland novel, Feast Day of Fools, is a tremendously complex and gritty mystery novel sure to make you stand up and pay attention. 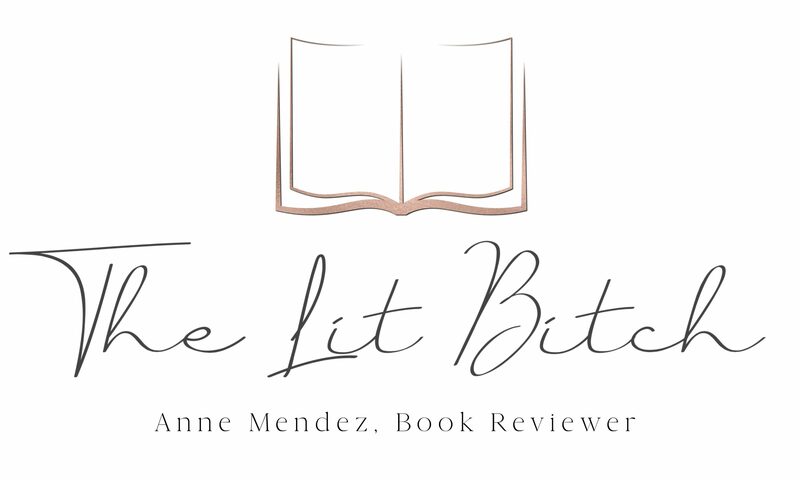 The fabulous ladies over at The Book Lady’s Blog were giving away this novel as part of their weekly Friday Reads give-a-way and I was the lucky winner. I have never read anything by this author and was very excited to receive it after I read the description(not to mention I love the cover!). It sounded like a novel that I would not normally read which intrigued me. I am always enthusiastic about reading books that are out of my comfort zone and controversial. For me personally I would say this book was both of those things. Set in a modern day Texas border town, a local indian by the name of Danny Boy witnesses a grizzly murder in the desert that sparks a richly thrilling story of murder, espionage, cartel activity, and terrorism with all the characters swimming in the ghosts of their past (some of them quite literally!). Sheriff Holland and his deputy, Pam, are in a race to catch the killers of the initial homicide, notorious mass murderer Jack Collins, and trying to locate the hottest thing on two feet….a national security threat…Noie Barnum. The two men who kill this man in the desert are Krill and Negrito, they had Barnum in their possession but then Barnum escaped. Barnum has info on a top secret government ‘preditor program’ and Krill and Negrito wan to sell Barnum to Al Qaeda. Everyone seems to be looking for Barnum…..Russian gangster Josef Sholokoff ,Temple Dowling a defense contractor and his group of mercenaries, Krill and Negrito, Jack Collins, the FBI, and now the Sherrif all want a piece of Barnum. As the mystery unfolds, we learn about each of the characters lives and how their lives all fits in with the murder (s) and story. Many of the characters are what we would normally classify as villains, many of whom are seeking redemption or leading redeeming lives to atone for past mistakes. One of the things that I liked best about the novel was that the characters were not entirely bad but they weren’t entirely good either….I had to make the judgement call as a reader….were their sins entirely unforgivable, were they just evil, or were they capable of redemption? This was a hard thing to do….the book really made me look at my values and the circumstances of people and wonder ‘what would I do in that situation’. Though I liked this kind of social and moral examination, it did make it hard for me to like any one of the characters. For example, though Sheriff Holland is a solid man of principal (almost like a modern day John Wayne) this was not always the case….Holland had been a drunken ‘whoremonger’ in his younger years. Though it’s admirable that he does not make excuses or lie about his past it was still hard for me to look at him like an honest caring man after knowing he was exploiting young women south of the border for years. Same with Krill….he brutally murders this man in the desert and then seeks help from ‘La Magdalena’ to baptize his children who were murdered by American soldiers. You feel bad for him and sympathetic to his situation but it doesn’t justify the way he is. For me, seeing the characters as entirely good or entirely bad in any novel is sometimes unrealistic….people have both light and dark in them, it’s the part they choose to act on that makes them either the hero or the villain. I liked that the novel made the reader explore the characters individually and made the reader have to look at their own moral values. This was one of those novels that make you understand the villain but never allows you to justify their behavior which I liked. I have read a lot of reviews about the book in anticipation of it’s arrival in my mail box and had high expectations. I found the book well written and it certainly was something out of my comfort zone but I don’t know that I can say I liked it. From what I have read, Burke’s novels are all highly recommended and superb but that this novel was not as good as some of his others, I don’t have anything to compare it too since this is my first Burke novel, but I can say I was not throughly impressed. The cast of characters seems unlikely for the location….an ex CIA Asian woman who is also a Catholic priestess randomly living in the Southwest? A Russian gangster who runs a game farm? Mexican cartel coyotes who have ties to Al Queida? All of this was really hard for me to wrap my mind around…..when I think Southwestern Texas border town, I think of drug cartels and drug highways like one would see on NatGeo’s Boarder Wars show….not this international melting pot of characters. I also didn’t care for the fact that it was so religious. I personally don’t care for an abundance of religious rhetoric in my book choices but in some ways it was helpful to have that religious base in this particular book but I have to admit, the religious tone began to wear on me after a while. Though it was heavy on the religion and political rhetoric I was surprised that Burke was as ‘liberal’ as he was….there were many clear Republican references but also an equal Democratic view point offered for many of the issues which I could appreciate but same as with the religious tone, the political tones seemed to over take the novel after a while and grated on my nerves. It was very clear that Burke has a genuine love for the American Southwest….his descriptions were absolutely breathtaking. Having lived in Arizona for a number of years, I could personally appreciate his glowing scenery descriptions and indigenous flavor. The dark and gritty tone of the book coupled with the almost dream like descriptions of the land was very intriguing and different…..not like any that I have read before. Over all, I liked the book but I didn’t LOVE it. I don’t know that I will read any other books by Burke in the future. For me it was a little too gritty and dark and the mystery was more grizzly than suspenseful. Recommendation: 3 out of 5 (gritty and different, but not my cup of tea). ‹ Previous2012 Outlander Series Reading Challenge, Sign up now!